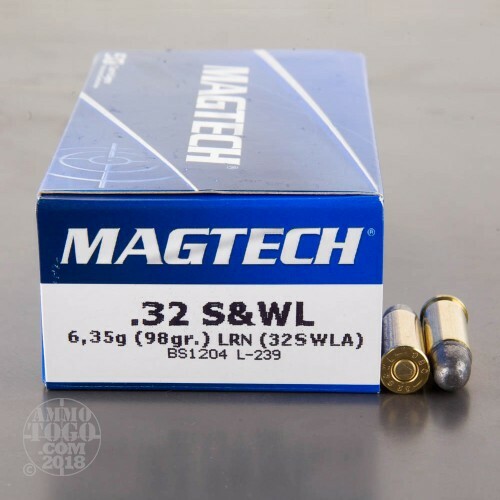 Brass cased, boxer primed and 100 percent non-corrosive, this Magtech .32 Smith & Wesson Long is designed and constructed above and beyond industry standards. 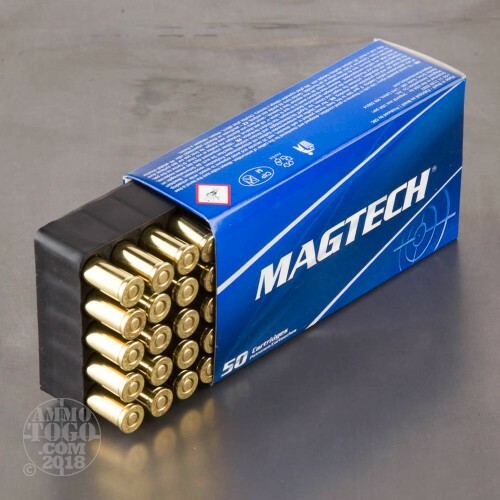 Providing impressive quality to cost value, Magtech pistol and revolver ammunition provides the reliability and performance every modern shooter expects from their ammo. Magtech was founded in 1926. 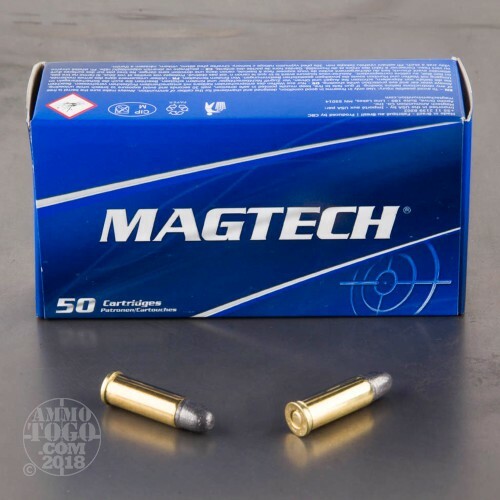 Their dedication to producing affordable ammunition that does not compromise on quality, Magtech has become a respected name in the industry. By manufacturing all their own components, Magtech retains total control over every stage of the production process, guaranteeing consistent function and performance in every round. Each of these factory fresh cartridges features a 98 grain lead round nose projectile. 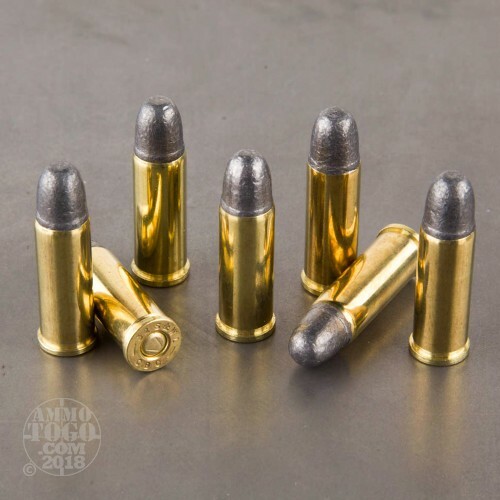 With impressive mushrooming upon target impact and suitable penetration, these bullets are perfect for target shooting and casual plinking. However, terminal expansion also makes them suitable for small varmint control. Leaving the muzzle at a velocity of 705 feet per second, each round delivers 108 foot pounds of muzzle energy. This ammunition comes packed in 50-round boxes.